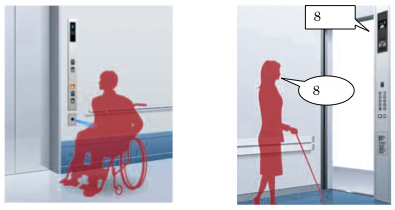 Mitsubishi Electric Corp has developed a voice-activated elevator technology to benefit wheelchair-bound and visually impaired people who have trouble pushing buttons. The company is aiming to put the technology to practical use by the end of next March by installing it in newly built elevators as an optional function. The price has not yet been set. Mitsubishi Electric modified its voice-recognition system used in car navigation systems to develop the elevator function.